Former Houston mayor Lee P. Brown, who will speak at Thursday's Honors Convocation. The College of Criminal Justice will honor its outstanding students and alumni, while remembering those who have fallen in the line of duty, with three events on Thursday (April 28) in the Criminal Justice Center. At 11 a.m., student leaders will be recognized and the Defensor Pacem Medal and the Outstanding Alumnus Award will be presented at the Leadership Luncheon, to be held in the center’s Flag Room. D.V. “Red” McKaskle, a CJC supporter who serves on the SHSU alumni board, is the recipient of this year’s Defensor Pacem Medal, which is given each year to an individual or organization that has provided invaluable assistance to the criminal justice field. McKaskle’s lifelong career in Texas criminal justice includes tenure as an assistant director of the Texas Department of Criminal Justice and chief deputy of the Harris County Sheriff’s Department. Victor E. Kappeler, a 1988 criminal justice graduate with a doctorate, has been chosen to receive the Outstanding Alumnus Award. The CJ faculty selected Kappeler, who is currently a criminal justice professor at Eastern Kentucky University, for the award. At 1:30 p.m., the annual Sundial Ceremony will be held at the center’s main entrance to honor those CJ alumni who serve “the cause of justice throughout the world,” as well as remember those who have perished in service this year. All students, faculty, staff and university friends are invited to the ceremony, which has been held since 1990. Alumna Jean Sanders, who received her bachelor’s degree in 1982 and her master’s degree in 1994, will be a guest speaker, as well as Brett Gibbs, whose brother, Sgt. Todd Gibbs, a 1990 graduate, died in the line of duty last year while serving in Iraq. In addition, 11 yellow roses will be placed on the Sundial by various student organizations, alumni, faculty and staff. Finally, at 7 p.m., 44 scholarships will be awarded and 74 students will be recognized for their outstanding achievements at this year’s Honors Convocation, in the Killinger Auditorium. 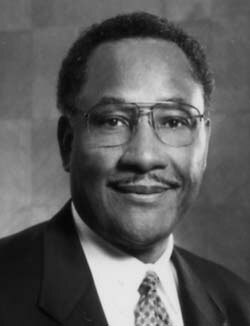 The Honorable Lee P. Brown, former Houston mayor, will serve as keynote speaker. The convocation is also open to the public.